I’ve got a question to ask you: how many of you believe that you are alive, on this earth, in this minute, where you are geographically, for a reason? How many of you really feel that? That you have a higher, loftier purpose than what you find yourself doing daily? I have always felt that my life was meant to be lived for a reason, but for many, many years I couldn’t figure out what that reason was, so I simply took opportunities that came to me and assumed that life would bring me where I was meant to go. I was, however, very conscious of my need to stop and check myself before embarking on any avenue that would require a wholehearted investment, because despite not being able to pin down what my mission was, I have always known when something would be a distraction, a waste of time. 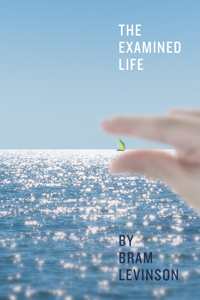 I left centers of higher education over and over when I felt my studies were wasting my time, and as I instruct people in my “Examined Life” workshop to do, through the process of elimination I repeatedly managed to identify what I didn’t want in my life. And it was through this elimination that I finally figured it out. My awareness of consciousness (and its subtle layers) has been with me for as long as I can remember, even back when I had no name for it, no parameters within which to define it. And ironically, when meditated and reflected on, it is nameless and undefinable. 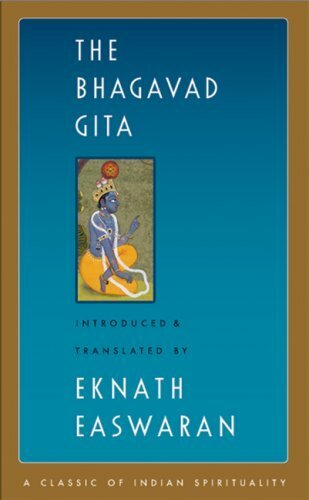 Over the past week I have been reading a translation of the Bhagavad Gita by Eknath Easwaran, and in all honesty, I haven’t gotten past the introduction…not because it’s difficult or painful to read, quite the contrary, actually. I keep re-reading his words that set the tone for the layers of consciousness that permeate the Gita, and every time I read them, a different phrase or concept rises up to meet me, which I end up reflecting on for a few days. At this rate, I’ll have finished reading the book by 2013, but all kidding aside, he mentions something which succinctly sums up my beliefs and reasons for carrying out my mission of helping people realize their own selves and missions. He brings up the concept of brahmavidya, which translates to “the supreme science” – supreme because it is the science of consciousness, which underlies and informs all other studies and aspects of life. 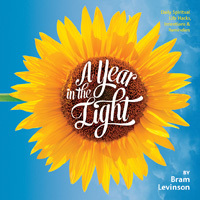 In discussing the origins of brahmavidya, Eknath tells us that the ancient Hindu sages, through their introspective studies of consciousness, came to three conclusions that have since been backed up by more modern-day scientists: 1) there is an infinite, changeless reality beneath the world of change; 2) this same reality lies at the core of every human personality; 3) the purpose of life is to discover this reality experientially. What does this all mean? Let me give you my take on it: the lives we live spent managing our jobs, relationships, health, passions, hobbies, etc… all fall into the world of change. These things happen, then they’re done. We feel one way, the feeling passes. We work on one project, it ends. Many of us have lived our lives to date confident in the belief that this world is the sum total of our efforts and happiness lies in said efforts and their results. Others have played this game and “won”, only to discover that the satisfaction they were led to believe would be gained from all their hard work remained elusive. The world of change is very real, don’t get me wrong. But there is way more to our existence than what we can perceive using our senses. The sages identified that under the world of change lies another realm, one in which resides a changeless source of energy from which every single thing in existence stems….which leads us to their second point: we stem from that source. We carry that changeless, nameless energy within us and our personalities develop from there. Lastly, they tell us that the meaning of life, the reason we are here on earth is to experience this connection we have to that which is changeless. To understand it, to connect to it, and to remember it so that it alters our perception of the world of change, allowing us to see that everything comes from one source and that we have way more in common with each other than we understand. Grasping these concepts can be incredibly alienating, giving many the reason they need to not explore further into their own lives and the perception they have of the world around them. It is, however, these concepts exactly which have always been with me, albeit under guises that were harder to explain and justify. It is these very concepts that I try to bring with me to every class I teach, every workshop I give, every lecture I prepare. I believe that as soon as we realize that the jobs we work at and the relationships we partake in and the roles we overload ourselves with are ever-changing and temporary, we find ourselves receiving that much-needed nudge into a place of clarity, where any illusion about why we’re here is dispelled, and we understand exactly the depths of meaning that each and every one of us embodies. We are provided with a clearer framework within which we can stop wasting time and identify the gifts we have been carrying around with us for our entire lives so that we can finally share them with the rest of the world.